Grandpa John Yeo was married to Emma Selwood, daughter of John Selwood and Mary Hitchcock Selwood, who was born on February 29, 1856 in Bristol. They were married January 1, 1877 in Cardiff, Glamorganshire, Wales. Unemployment figures which were obtained from well-organized union records in Britain (and which may not tell the whole story) indicate that shortly before Grandpa Yeo left England for America, the unemployment rate was 11.5%, much higher than at any other time in the previous nineteen years. This fact and the opportunity to make a good living for his family were apparently Grandpa's reason for leaving his homeland. 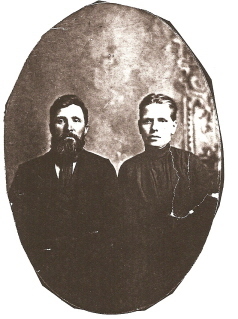 In 1880 John was boarding with John Bond in Ishpeming, Michigan and had found employment as a miner. Emma must have joined him shortly after this as Harry was born in Michigan in December, 1881. Grandpa, Grandma and their two children John and Emma (born in Wales) arrived in this country and settled first in Northern Michigan where Grandpa and Thomas worked in the mines. Six children were born to this couple during their time in Michigan: Harry, Elizabeth, Thomas, George, Bert and Jane. Grandpa heard of homesteading land available in Minnesota due to the expansion of the railroad system. He took his oxen team and went to Minnesota to purchase land from the Winona and St.Peter Railroad. 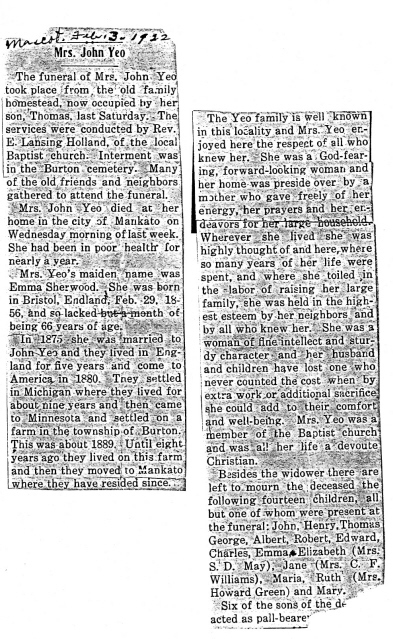 Following the birth of Jane (My Mother) on December 27th 1889, the family left Michigan to start life on a farm. Front & Side views of Family Homestead, nr. Minneota. This farmhouse was built by Grandpa John Yeo and his sons. 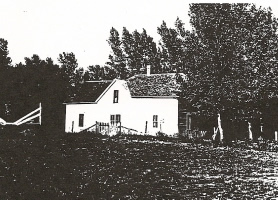 Grandpa settled in Lyon County in Southwestern Minnesota where he and his sons built a farmhouse. It is still in use today, being occupied by a great­grandson of John's. Thomas, one of Grandpa's sons eventually took over the family farm and Bert, another son settled on an adjoining farm. That son (Bert's) daughter Ona still lives on the site of her family farm, but the house has been replaced. The small community of Minneota at the time John and his family arrived in 1890 was composed of 325 hardy souls. This number did not include the residents of the many farms which surrounded the area and helped it prosper. In 1900 the family were living in Lyon and John was a farmer. There were immigrants from four countries who settled in this area about the same time that Grandpa arrived. Norwegian settlers were first, followed by emigrants from Belgium, Ireland and Iceland. Man of these people spoke little or no English. While John and his family had the advantage of language, he was still technically in the same circumstances as the others. They had little money, lots of determination and were not afraid of hard work. These people, working for themselves, put in long hours but reaped satisfaction in contrast to the immigrants in larger cities who were often exploited because of their ignorance of the language and customs of this country. Grandpa John Yeo was a man of strong faith and Christian principles. He was not prejudiced against anyone for any reason. There was a large Lutheran Church and a Catholic Church in Minneota, but no no place for other denominations to worship. 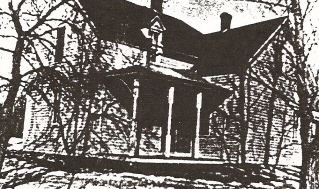 In 1897 John Yeo helped build the Minneota Baptist Church, on land donated by the Winona and St. Peter Railroad. For many years this church shared a pastor with another small country church. In the mid-1940's Bert's oldest son, Robert helped with the services. He had attended seminary but decided not to go into the ministry. Bobby was very good to Brother and me when we spent our summers at Uncle Bert's farm. Bobby showed a great deal of patience as he taught me to drive in a cornfield. 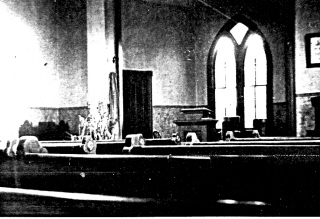 The Baptist Church's congregation gradually dwindled and the church closed in later years. It was, however, still in use at the time of Grandpa's death in 1948 and his funeral service was held there. 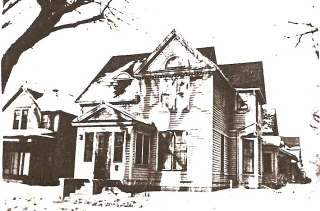 The building is in use today, having been remodeled into apartments. On the 14th day of December, 1898 John appeared in the District Court in the County of Lyon, Minnesota and became "A CITIZEN OF THE UNITED STATES OF AMERICA"
He was vitally interested in world affairs and would frequently discuss current events at the dinner table. He was ever interested in the farm situation and questioned anyone who had recently visited a farm. He was vitally interested in the crops and weather, as well as prospects for market. Grandpa rose very early in the morning and took long walks in good weather. After noon-day dinner he would take a nap and then would spend time in his room reading. He enjoyed going on small errands and would always buy the meat and bread. These frequent little jaunts enabled him to see and hear what was going on in town. Grandpa belonged to, and helped support the First Baptist Church in Mankato, but for as long as I can remember, he attended the Salvation Army. He taught an adult Sunday School Class and took this responsibility very seriously. He spent much time preparing the lesson for the following Sunday. He spent at least a week on each presentation. Brother and I were a little embarrassed that Grandpa belonged to the Salvation Army; we associated it with the poor and needy. I do remember being invited once to the childrens' Christmas party at the Army and I still have the doll's tea set which was my gift from "Santa." Grandpa's birthday fell on the 26th day of December and he was always honored with a special service by the Salvation Army on the Sunday nearest his birthday. He disliked having a fuss made over him and would bring his small gifts home and place them on the buffet with no comment. I will always remember the last time I saw Grandpa. I had accepted a job in Newport News, Virginia and before I left he gave me a little lecture. He illustrated his point with the story of a young woman who had a good job, but for some unspecified reason, she lost her job. She had no choice then but to scrub floors for a living. Grandpa wanted to be sure I didn't goof up and have to scrub floors for a living. Little did he know that I worked during my college years doing housework and was happy to have the chance to do so. 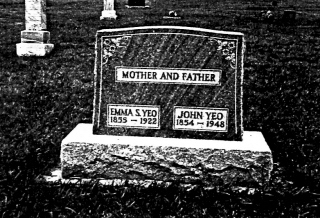 Grandpa Yeo died in his sleep March 23, 1948. He had had his 93rd birthday three months before. All his surviving children came from distant points to the funeral. The services were held in the little church in Minneota, which he helped build. He is buried beside his wife, Emma Selwood Yeo (who died January, 1922) in Burton Township Cemetery in Lyon County, Minnesota. His father-in­law, John Selwood is also buried there. John Yeo was a respected man in his community and generous with his help. He was strong in his faith ..... a man of whom to be proud.